If you’re like me, you’ve probably written a book, or you’re currently working on one. You are either an author, or an aspiring author. And, chances are, if you’re like me, you’ve researched and found out that self-publishing is the easier path for ensuring your written work will get some attention. It’s the fastest choice, the choice that gives you the most control over your manuscript, and, if you don’t want to, you don’t even have to spend a penny. However, if you’re like me, then you’ve most likely also discovered that self-publishing is VERY HARD. To be a self-publishing author…for those of you that don’t know what this entails, allow me to explain. If you SELF-PUBLISH a book, then you are the publisher. Based upon this discovery, we can go further and ask the necessary question: what does a publisher do? Publishers distribute written or graphic works of art to the public. They are advertisers, promoters, business-people, sales-people. That’s their job. And, with every job that involves showing off and selling some sort of item, you had better be good at it! Most likely, if you’re a self-published author, the revenue you receive from selling your books is NOT your only source of income. Most self-published authors would be in a lot of trouble, if that were the case! Publishing a book (meaning actively distributing and selling it to the public) is a lot of work, and very often, not too profitable. WHAT ARE SOME GREAT WAYS TO PROMOTE YOUR BOOK? My books tend to have much more success when (guess what?) I make them free for a short amount of time. I’m talking about the eBook versions, of course. People will wait for me to make them free (which, of course, is smart), or maybe they’re people that haven’t heard of my book, but they notice it while scrolling through Smashwords.com. They see that the novella is free, and then decide to give it a chance. I mean, they don’t have anything to lose. If you’re writing a series (like me), having at least the first book free can act as the “hook”. Then, if you’re worried about making sure people understand the worth of your book, you can charge readers for the subsequent books of your series. Ripple effect: the people that download your book for free might start talking, or other people online will see what they’re reading. Maybe they’ll be interested in buying a copy too. Another great way to promote your book is finding other authors that write about the same things you do. Wordpress.com is great for that, especially since you can search for specific tags. Writing a historical fiction? Search for others writing about the same thing. Strike up a relationship and find ways to help each other out. The best people that you can get to download your books are other authors. Chances are, if you’re a self-published author, you’re going to need help with promoting your work. And that means we need to stick together. Self-publishing doesn’t always have to be a lonely endeavor. Make relationships and get the train moving again. The last way to promote your book would be to keep on writing; blog on different sites. Personally email people, comment on their blogs, and find nook in the internet where your audience is hiding. Whatever your endeavor is, keeping working for it. And even if you’re not sure where your going with your self-publishing career, keep moving forward. Keep searching. Keep writing. For those that suffer the woes of self-publishing: Go create. Go writers. P.S. Volume 1 is still free as an eBook at Smashwords! I will admit that when it comes to eReaders, I’m not too experienced, meaning that I haven’t tried very many of them. 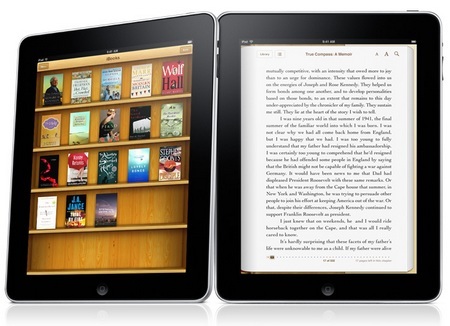 However, I have to say, Calibre-E-book Management has to be one of the coolest eBook readers out there! Calibre is virtually your own eBook library that grants you the ability to gather books from multiple sources. It’s a way to read books that are distributed as EPUB files; and EPUB files, in case you didn’t know, are usually the most professional-looking out of any possible eBook format. Okay, now down to the simply stylish/cool things. Calibre just has a modern, organized feel to it. 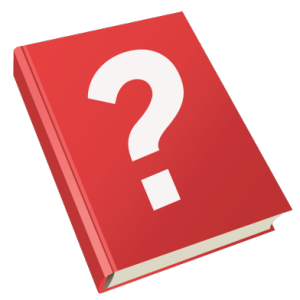 Whenever you select a book, it gives you the cover of the book, the name of the author, the format it’s in, the tags given to it by the author, and a summary of the plot (granted that the book possesses one). I think that it’s awesome and amazing that ALL of that information can be extracted by simply downloading an EPUB file on your computer and transferring it to Calibre. Then there’s the button that allows you to convert books to whatever format you want. 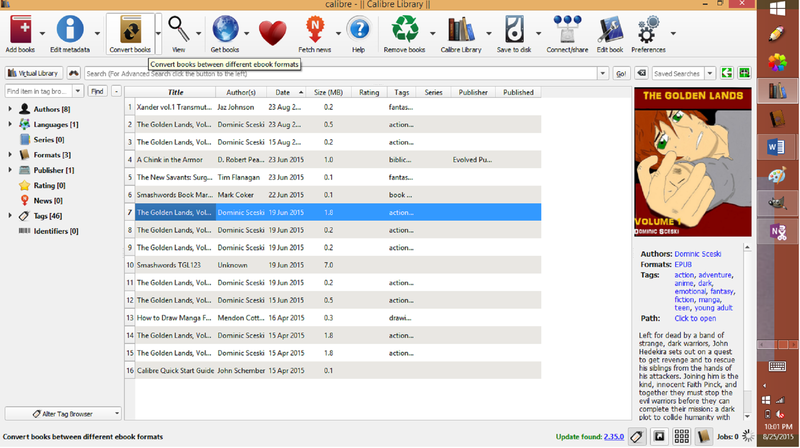 Or what about the button you can press that allows you to search for eBooks online WITHIN the program? THAT’S a handy feature. Any kind of eBook from whatever site; you can search for them right from Calibre! When it comes to reading, everything looks nice and crisp; both because of the way Calibre presents every book, and because EPUB files—so long as the book is formatted correctly—always look sharp. Overall, the only downside to Calibre is that sometimes it seems like it makes the computer a little slow when you run the program. But other than that, it’s totally worth it! I often suggest Calibre to those friends and followers of mine that don’t have any other eReading devices. 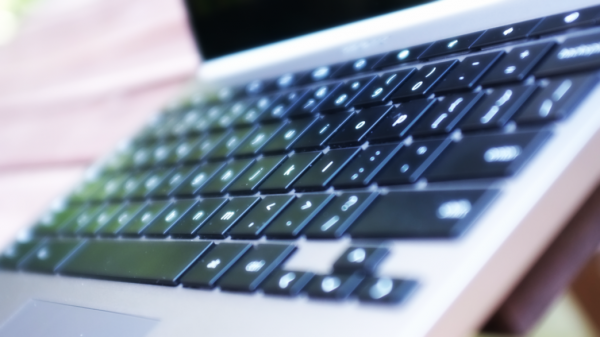 It gives you a modern, intriguing way to read eBooks on your computer, if a computer is all you have available for reading eBooks. Enjoy! I hope you get as much out of Calibre as I do! Pretty epic, right? Thanks Elizabeth. Author Promotion Team – Legacy of Hunger! Feel like helping out an awesome, veteran author with promoting one of her books? Feel free to help out! So, who wants to be part of my Promotion Team? I’ve got my first historical fantasy novel, Legacy of Hunger, coming out in October 23rd. I will need help getting the word out when new stuff comes up – cover reveals, pre-orders, etc. Anyone who helps will get free stuff – excerpts, swag, etc. 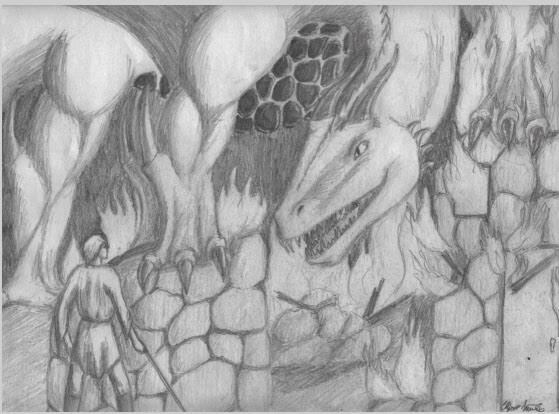 I’ll even hold a drawing for my team for some free copies of the books! All you have to do is share the announcements on your social media outlets, be they Facebook, Twitter, Linkedin, Pinterest, etc., whatever you are active in. Let’s help get the word out! So… anyone willing to sign up? I’ve got a FB group set up – please let me know and I’ll add you! Good work everybody 🙂 Volume 3 is definitely a hit! Downloads are really spiking for all three volumes (especially for Volume 1). To be honest, Volume 3 has been the biggest pain in the neck for me. It still hasn’t qualified for Smashwords’ “premium distribution”, all because of the image I placed in the back of the book. And I still can’t seem to resolve that. Also, Createspace over at Amazon isn’t allowing me to create a print version because it says my margins are too small, even though I’m using the same margins I used for the other books. Well, I’ll find time to work everything out. Funny how things are working that way…. ANNNNNYYYWAY. Just wanted to let you guys know that I may not be posting very much because of football camp. It takes up the greater part of my day. 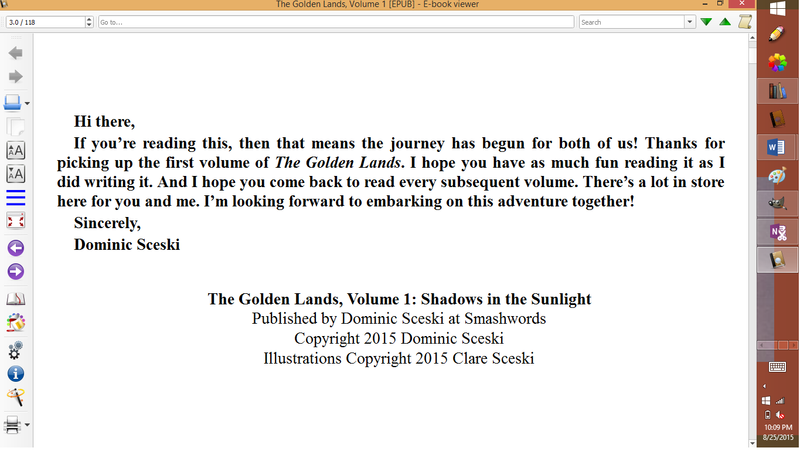 The Golden Lands, Volume 3, is now an eBook!—FREE TODAY ONLY!!! 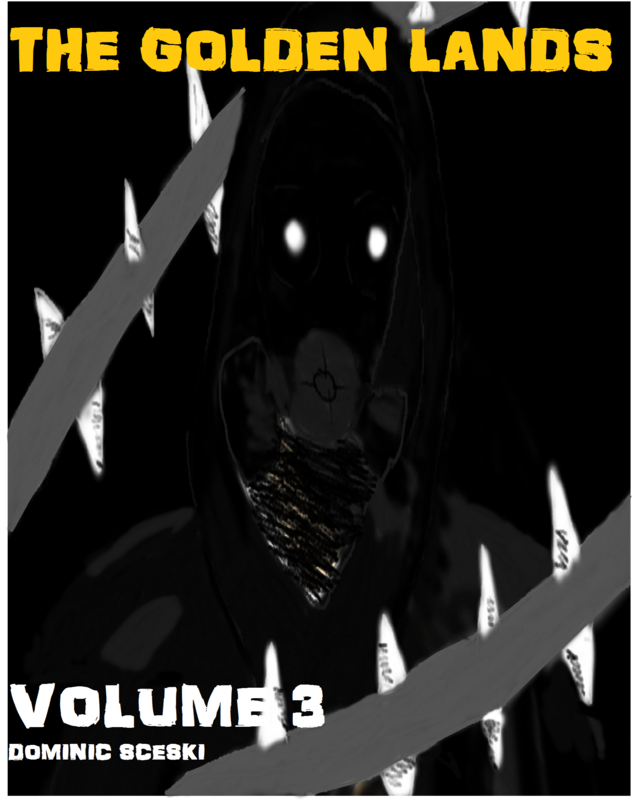 Well, as promised (since yesterday), Volume 3 has officially been published at Smashwords! Thus continues my series of fantasy/anime novellas. I hope you enjoy this volume as much as I did writing it! From what I’ve been told, the forte of Volume 3 is the action. Of course, maybe you’ll think otherwise! And let’s not forget that Volumes 1, 2, and 3 are all free today!!!! A name is being whispered throughout the northern region of the Golden Lands. And wherever it is whispered, death quickly follows. “Hedekira” is the only word voiced by the strange “ghost” who appears at random, causing chaos wherever he strikes. Neither John Hedekira nor his friends know why the ghost is after John…nor that they are going to be in the fight of their lives if they’re caught. Thanks for all of your support and happy reading! Another Book Ready to be Published! It’s that time again 😀 The only left for me to do is press the “publish” button, and Volume 3 will officially be published at Smashwords!!! Click here to read a post to discover what Volume 3 is all about! Sure, it’ll take some time before it is distributed to other retailers, but in the meantime, I’m just relieved that I’ve finally gotten to this point. That it’s finally time to publish yet again. Make no mistake, publishing three books–whether you’re self publishing or not–is a tough thing to do. And Volume 3, I must admit, has probably been harder to publish than Volume 2…for multiple reasons like formatting, editing, and polishing things off. In short, completing this manuscript has been somewhat difficult. But I’m glad that it’s finished and that I finally get to share it with you. ALL THROUGHOUT TOMORROW, VOLUMES 1, 2 AND 3 WILL BE FREE AT SMASHWORDS.COM! I believe that the occasion deserves a bit of celebration, and that includes a super nice discount for all of you faithful followers! Thanks again for making this possible!